With “Stories (and Aesthetics) About Anonymous and Orphan Cinema,” Elías Querejeta Zine Eskola in San Sebastian, Spain, is opening the warehouse of its facilities as a gallery and audiovisual exhibition hall to host an exhibition of anonymous, orphan, and amateur films. Sharing is what many archives around the world are doing, in varied activities designed to bring members of the public and film-archive specialists together to mark the contributions of audiovisual-preservation professionals and institutions. Archivists do that in the face of many technical, political, social, and financial threats to the world’s audiovisual legacy, in the opinion of the creators of the annual event. Those are UNESCO and the international Coordinating Council of Audiovisual Archives Associations, a global network of eight international nongovernmental organizations that deal with all aspects of audiovisual archiving (AMIA, ARSC, FIAF, FIAT-IFTA, FOCAL International, IASA, ICA, SEAPAVAA). 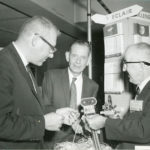 CCAAA is compiling a database of events relating to the day, which draws attention to the threat of decay and disintegration of moving-image media, and to the joys to be had from preserving the artifacts. The events, held on or near 27 October, are many and varied, and they give a sense of the range and sorts of activities that archives undertake, as this summary of some of them shows. 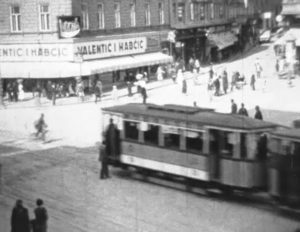 Croatian State Archives/Croatian Film Archive, in Zagreb, is marking World Day of Audiovisual Heritage with several activities. It is screening, in cinemas throughout Croatia, the first digitally restored Croatian feature film, the 50-year-old The Birch Tree. The Archive has also mounted an exhibition about the film in an elementary school in the town of Draganić, where it was made. In co-operation with the Croatian Film Directors’ Guild, the Archive is organizing the Croatian Film Heritage Conference, about protection and preservation of the Croatian film heritage. It has set up an exhibition and screenings marking the 30th anniversary of the death of Oktavijan Miletić, a pioneer of Croatian film. And it will publish the first translation into Croatian of The FIAF Moving Image Cataloguing Manual. Deutsches Filminstitut – DIF e.V. in Frankfurt/Main, Germany, is screening Wolfgang Staudte’s 1960 film Kirmes (The Fair), preceded by an introduction by the institute’s Winfried Günther about the nature and purposes of film digitization work. 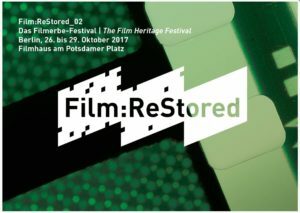 Deutsche Kinemathek in Berlin will present “Film:ReStored, The Film Heritage Festival,” and screen digitally restored films from seven decades of German film history, accompanied by a conference on preserving film heritage in the digital era. The Association of German Cinematheques will make an award to cinemas that have programmed heritage films. In “Documenting Activism,” ‘Ulu’ulu: The Henry Ku’ualoha Giugni Moving Image Archive of Hawai’i will present archival footage relating to the early days of the Native Hawaiian movement and will hold a panel discussion about how those images have been used by later filmmakers. The British Library in London is launching a new, free exhibition, “Listen: 140 Years of Recorded Sound,” explaining the importance of recorded sound since the phonograph was invented in 1877. Visitors can use listening booths to hear rare and unpublished recordings from the archive, such as a signed disc of James Joyce’s reading from Ulysses, a complete set of playable stamps issued in Bhutan, and the 1922 “Wireless Log” of a 16-year-old youth. The exhibition is part of a major British Library programme, Save Our Sounds, which will digitise the Library’s sound archive. The Library is also collaborating with NTS radio to broadcast an hour-long programme featuring rare field recordings of natural sounds from its collection. 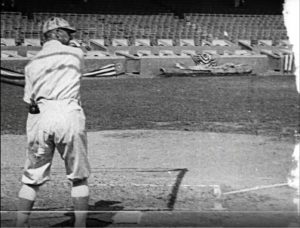 Among film discovered under the Yukon swimming pool was footage from the infamous 1919 baseball World Series, in which players for the Chicago White Sox threw games to aid gamblers. 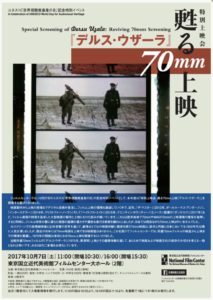 The National Film Center, at the National Museum of Modern Art, in Tokyo, will screen Akira Kurosawa’s 1975 classic Dersu Uzala in 70mm, a format that was popular in the country from the 1950s to the 1970s, but disappeared because cinemas with 70mm projection all disappeared. EYE Filmmuseum in Amsterdam is holding open days at the EYE Collection Center, inviting members of the public to see how it preserves historical audiovisual material and makes it available for use and study. An emphasis this year will be on historical film machines, particularly amateur equipment and lesser-known formats. 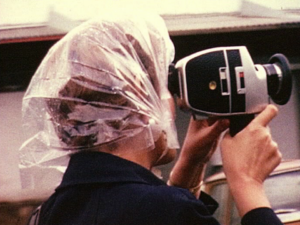 It will screen 9.5mm films and home movies, in collaboration with the Stichting Amateurfilm and the Dutch Institute for Sound and Vision. At FOCAL International, in London, Vanessa Toulmin is delivering the annual Jane Mercer Memorial Lecture in the form of “Professor Vanessa’s Performing Wonders of Entertainment and Film 1895-1920,” with clips of 20 early films that enabled discoveries in film history, with accompaniment by silent-film musician Stephen Horne. 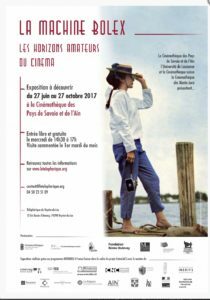 As part of its exhibition about the Bolex camera, La machine Bolex, les horizons amateurs du cinéma, the Cinémathèque des Pays de Savoie et de l’Ain, in Veyrier-du-Lac, France, is presenting “Improvisation à la caméra et musicalités de la Bolex H 16,” where Vincent Sorrel of the University of Grenoble will present the work of Johan Van der Keuken, who used a Bolex H 16 camera in the 1960s to explore visual and sonic rhythms of everyday life, shaping his films under the influence of the features of jazz music. Hand-painted lantern slide circa 1890 illustrating the 1782 poem, “Comin’ Thro’ the Rye” by Robert Burns. Image: Ryerson University. 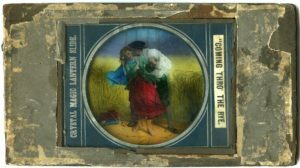 Ryerson University Library Archives & Special Collections, in Toronto, is hosting an exhibition of 19th-century magic lantern slides and projectors that it recently received through a donation. The exhibition will include opportunities for visitors to experience shows of the pre-cinematic techology, such as were popular well into the 20th century. Filmoteca de València, in Valencia, Spain, pays tribute in “Chomón Essential” to Segundo de Chomón, a prominent figure in early film history as a leading technician with Pathé Frères who specialized in tricks and special effects. The archive will screen a program of films directed by Chomón and preserved at the Filmoteca de Catalunya. Taiwan Film Institute , in Taipei, will premiere its latest digital restoration, of The Husband’s Secret (1960), a Taiwanese-dialect classic by director Lin Tuan-chiu. The film, also known as Wrong Love, is considered a gem of Taiwanese-dialect cinema, a commercial movement that was hugely popular from the mid-1950s to the late 1960s. TFI collaborated with Tainan National University of the Arts to digitally restore the film, which stars iconic actress Chang Mei-yao. Coinciding with the international seminar “Stories (and Aesthetics) About Anonymous and Orphan Cinema,” Elías Querejeta Zine Eskola in San Sebastian, Spain, is opening the warehouse of its facilities as a gallery and audiovisual exhibition hall to host an exhibition of anonymous, orphan, and amateur films. The Anonymous Cinema exhibition covers various kinds of “orphan” films from 1894 to the present day: film fragments of interest in the history of cinema; amateur works with artistic aspirations, such as those of the Amateur Cinema League of the 1930s; forgotten practices of the first women enrolled in the Institute of Cinematographic Research and Experimentation in Madrid in the 1950s; “interventions” by artists using found footage; and postings to YouTube. 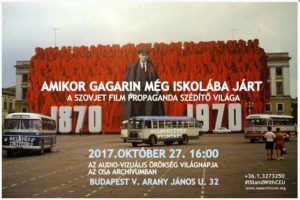 The Vera and Donald Blinken Open Society Archives at Central European University is organizing a presentation on archiving films and a film screening, with a focus on the history and processing of a collection of Soviet films held in Budapest. After the House of Soviet Science and Culture was closed down following the regime change, 110 Soviet films were abandoned, most of which were dubbed into Hungarian and later saved by film historian Anna Geréb. 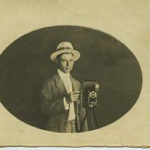 Blinken OSA has digitized and processed the collection and made it accessible online. It will show two of these films, both 16mm propaganda shorts that idealize a Soviet dream world that never was. 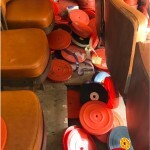 In its announcement, the Archives asks who could have been interested in going to watch films like those, produced in the 1970s and 1980s, which used the visual language and sophisticated montage techniques of avant-garde and new wave cinema. The event launches the Open Society Archives’ video-collection campaign, whose goal is to collect, preserve, digitize, and make freely accessible for research amateur films, videos, and sound recordings from the Cold War and the Socialist period. Cinemateca Portuguesa-Museu do Cinema , Lisbon, Portugal, is paying homage to Jerry Lewis (1926-2017) — the third of its annual celebrations of the comic’s films — with a screening of The Family Jewels, The Sad Sack, and Don’t Give Up the Ship. 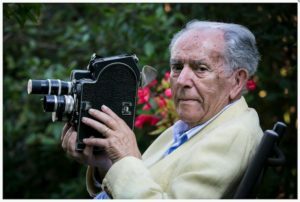 Archivo Nacional de Costa Rica, the National Archive of the country, will screen the documentary film Canto a dos Pueblos, an audiovisual memory of the towns of Arenal and Tronadora, now disappeared under the waters of Lake Arenal, and hold a conversation with its director, Carlos Freer. Cinemateket — the Swedish Film Institute — in Stockholm, is presenting three films that document the life of the country’s Sami people, who have largely been largely absent from Swedish film history. 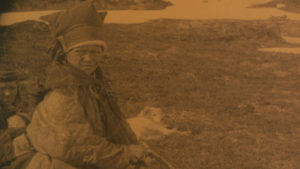 Among the films is Bilder av samer, made between 1923 and 1944 by Ragnar Westfelt, Arne Sucksdorff, and Stig Wesslén. In Buenos Aires, the Fundación Cinemateca Argentina is presenting 10 films of Masaki Kobayashi (1916-1996), a master of postwar Japanese film, most never before seen in the country. 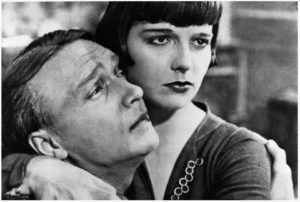 The British Film Institute, Learning on Screen, and Kingston School of Art will launch a new scheme providing student filmmakers at UK universities with access to archive material from the BFI National Archive, as well as students and educators interested in working with archive content on course-related film and media projects. 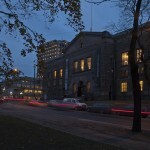 Kansallinen audiovisuaalinen instituutti , in Helsinki, Finland, is presenting “Prix de beauté: A Tribute to silent-film star Louise Brooks” (1906-1985), citing her as “a symbol for the preservation of film heritage for generations” because, for example, “thanks to the efforts of Henri Langlois at La Cinémathèque française her classic films Die Büchse der Pandora (“Pandora’s Box,” 1929) and Tagebuch einer Verlorenen (“Diary of a Lost Girl,” 1929) were preserved in the critical period of the 1930s and 1940s when much of the Golden Age heritage of Weimar cinema was destroyed,” while George Eastman House, in the city where was buried, restored Beggars of Life (1928). Brooks was a film historian, essayist, and memoirist, as well as actor. Among activities at Filmoteca de Catalunya, in Barcelona, is the screening of the documentary Carles Barba, el cineaste, in which Josep Vidal pays tribute to the legacy of the filmmaker’s depictions of Catalan society. Filmmuseum Düsseldorf, Germany, is presenting films by Werner Nekes, a leading German film experimentalist and collector of historical optical objects: Uliisses (1982), in which he explores film history and the materials of film making, and four short films he made between 1966 and 1982 with his wife, director Dore O. The Danish Film Institute in Copenhagen will re-launch its online platform, Denmark on Film, now with more than 600 films, comprising over 100 hours of moving images of Danish history, with films and clips from Denmark, Greenland and the Faroe Islands. New features include a timeline and thematic entries, which provide curated collections on such topics as The Occupation, Newsreels, Historical Films From Greenland, and Copenhagen 850 years. 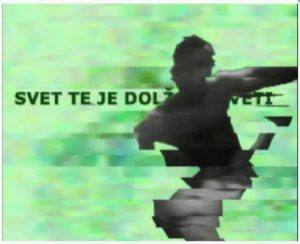 Slovenska kinoteka (Slovenian Cinematheque) in Ljubljana is presenting its physical and web archive of video and new media art together with works from the Ursula Blickle Video Archiv of Vienna. Vermont PBS & The Vermont International Film Festival, in Burlington, Vermont, will launch Vermont Archive Movie Project by screening a set of shorts from the database, a searchable website of Vermont films past and present. The program will include recent restorations, including Doris Eddy, from 1986, in which Deb Ellis portrayed a Vermont woman who lived on her farm in Middlebury with 50 horses and established one of the state’s first riding schools. Also on the program is The Restoration Project, Jesse Kreitzer’s short film about restoring his father’s 8mm home movies. To mark the 50th anniversary of the University of Sterling, in England, the institution is launching a website dedicated to oral histories of its early years, and more recent ones. For 10 years, the Stirling University Retired Staff Association has been recording audio and video interviews of pioneers of the university, the “staff who made this fledgling community work” — administrators, librarians, technicians, cleaners, porters, the first director of the Macrobert Arts Centre…as well as students. All are detailed, with annotated audio interviewed and some video clips, on the SURSA Oral History website.